Few farm businesses in Australia pass smoothly from one generation to the next for several generations. In the past fifty years the number of commercial farm businesses in Australia has more than halved. In future, as in the past, a small minority of farm businesses in Australia will have the potential and capacity to evolve into successive generation businesses that can continue to earn competitive returns on capital, be financially viable (liquid) and build wealth (growth and return to equity). Mike Stephens, founder and Director of Meridian Agriculture, is currently undertaking a project titled Farm Success Enabling Case Studies and will produce a series of case studies of Australian red meat production businesses which are family owned and managed. The studies will include descriptions of the businesses from the human, financial and physical perspectives. Co-funded by the MLA Donor Company and Meridian Agriculture, the studies will contrast the decisions, actions, attitudes and attributes of the owner/managers/family members of businesses which will continue into and beyond the fourth generation, with those which will not continue. Please click here for a copy of an information brochure outlining the subject, steps taken and the key messages from the Case Studies. Mike is currently a PhD candidate studying Farm Business Succession and has over thirty years’ experience in directing, managing and advising small and medium sized businesses. He has developed and directed industry projects and consulted extensively on succession and transition in business. Lessons from a series of in-depth succession planning farming case studies from across Australia. They feature both businesses who will successfully continue and those which will not. Compelling viewing for members of any farming family who are serious about succession planning. 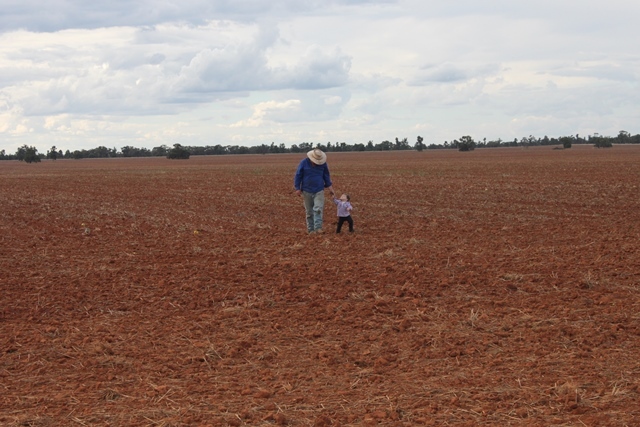 Understanding what the key outcomes of the succession planning process need to be – sufficient funds for retirement, handing on a viable farm, and providing for the next generation while ensuring they are satisfied with their deal, now and in the future. How to kick start the succession planning process in your family business – the webinar will talk through some easy steps you can follow.